Update on Wind Standards - Hydrotech Membrane Corp.
Wind data is a critical issue to consider when building a new structure. 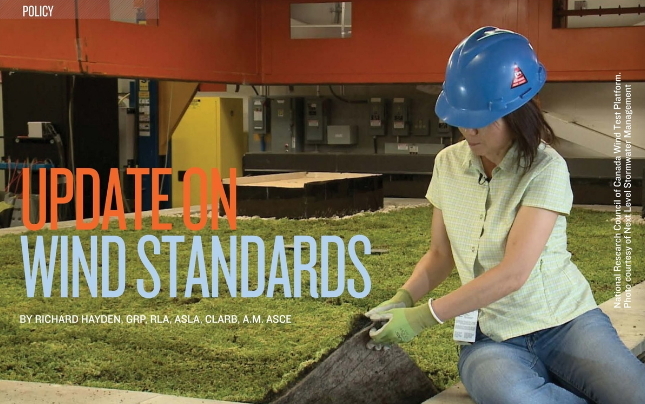 An increase in the number of green roofs on buildings has driven a need for new wind design standards to be written for vegetative roofing assemblies. Richard Hayden discusses what is being done to update the protocol that is in place to incorporate built-up (loose laid) vegetated roofing assemblies.